A great day begins with a great breakfast. 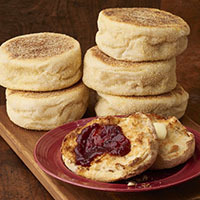 Our new “rustic” Sourdough English muffins are made extra thick and able to stand up to any topping. They’re a wonderful way to start the day. 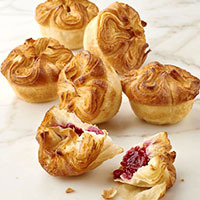 A bounty of treats for your taste buds! 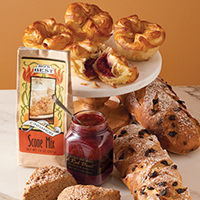 Includes two of our sweet chocolate raisin baguettes, four raspberry filled Kouign Amann pastries, Mountain Fruit Strawberry Raspberry Jam & a Bo’s Best Cinnamon Scone Mix. 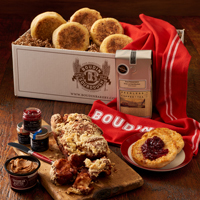 Gift includes sourdough English muffins, sweet cinnamon delight pull-apart bread, Epicurean Butter Cinnamon Brown Sugar, a trio of San Francisco Jam nation fruit spreads, CA Blend coffee and a Boudin Jacquard woven dishtowel. 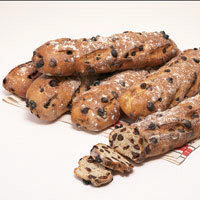 Our Master Baker, Fernando Padilla, created a chocolate raisin baguette that is simply unforgettable. 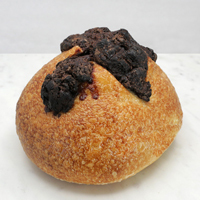 This bread combines the tangy flavor of our sourdough with the sweet tastes of dark chocolate and plump raisins. Includes six 8 oz. baguettes. You might leave your heart here, but you can take our heart with you. 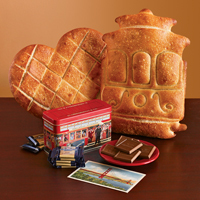 This gift includes a 1 lb heart-shaped sourdough loaf, 1 lb cable car-shaped sourdough bread, one Ghirardelli cable car tin filled with milk chocolate squares. 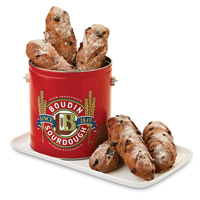 Our mini sourdough baguettes can be habit forming – especially with raisins and chocolate chunks baked in. We include six of them in our red Boudin tin. Baguettes are 3 oz and the tin makes for a useful container after they are gone. 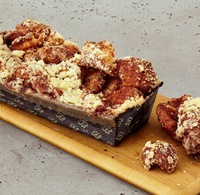 Savor the perfect combo of sweet and sour….The Original San Francisco Sourdough paired with Guittard Dark Chocolate! 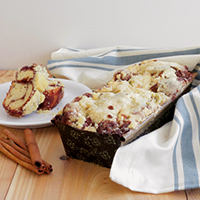 Warm in your oven for 10 minutes and delight in the sweet aromas of warm chocolate and fresh sourdough bread throughout your kitchen.